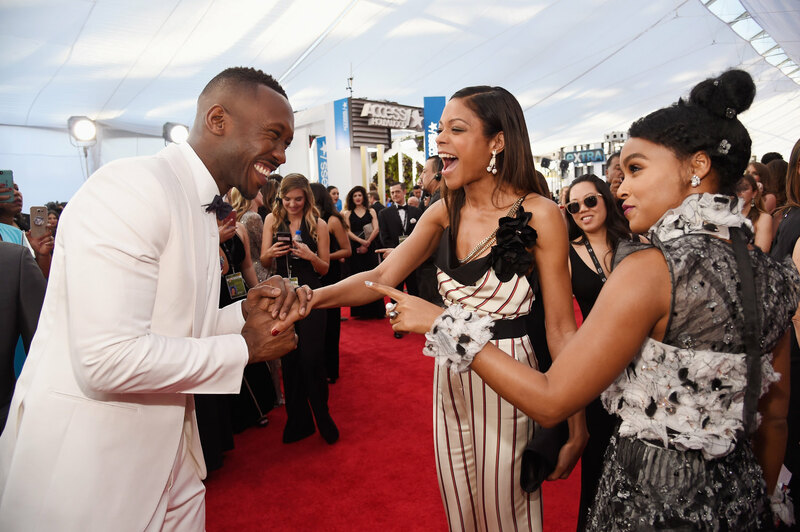 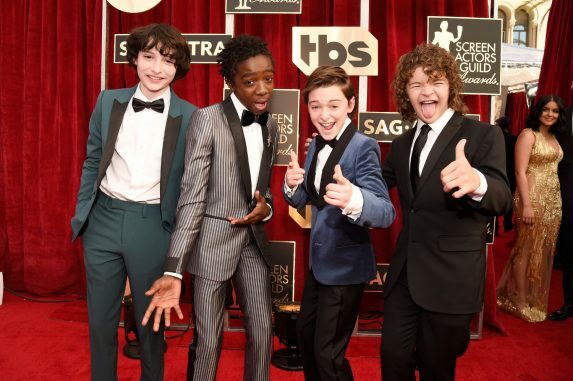 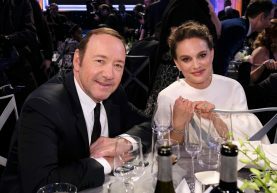 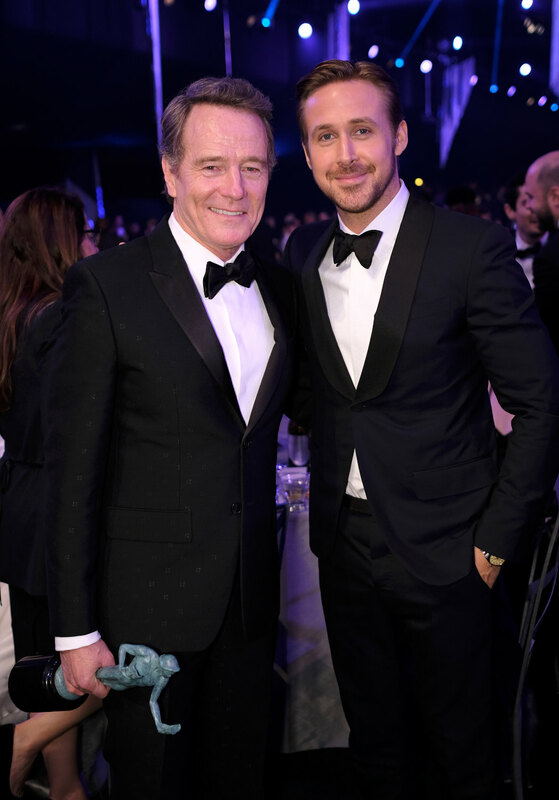 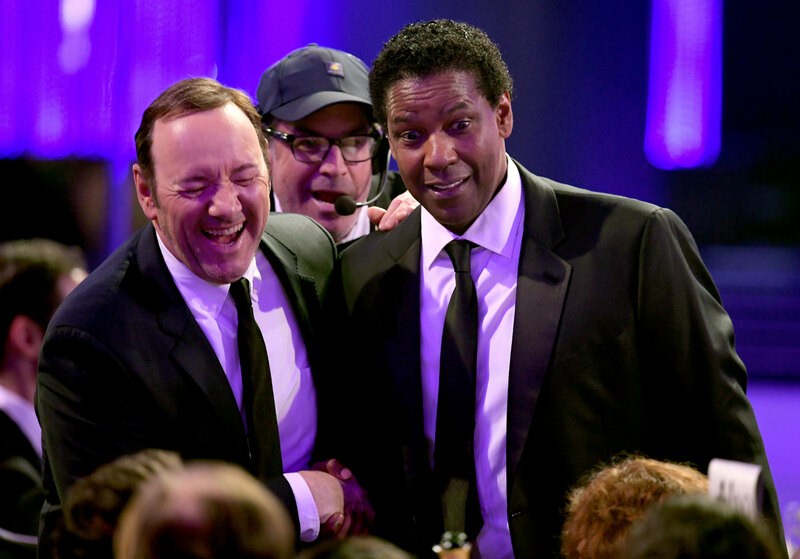 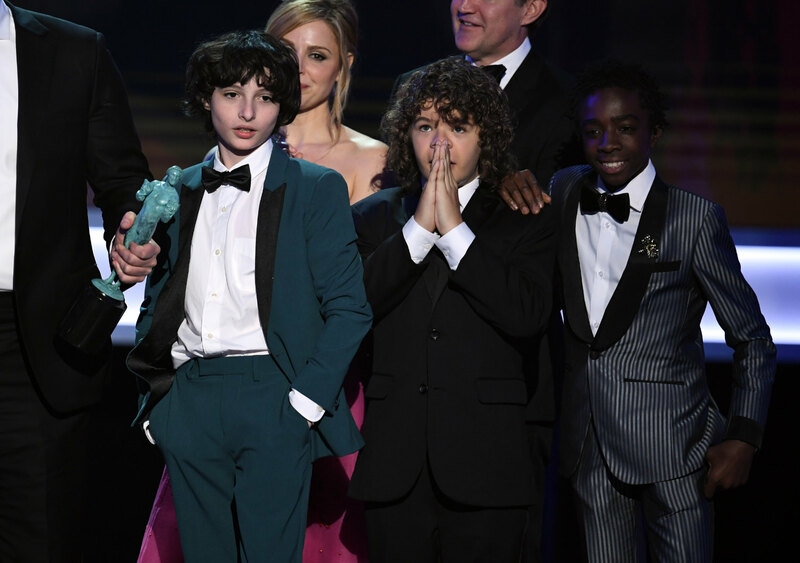 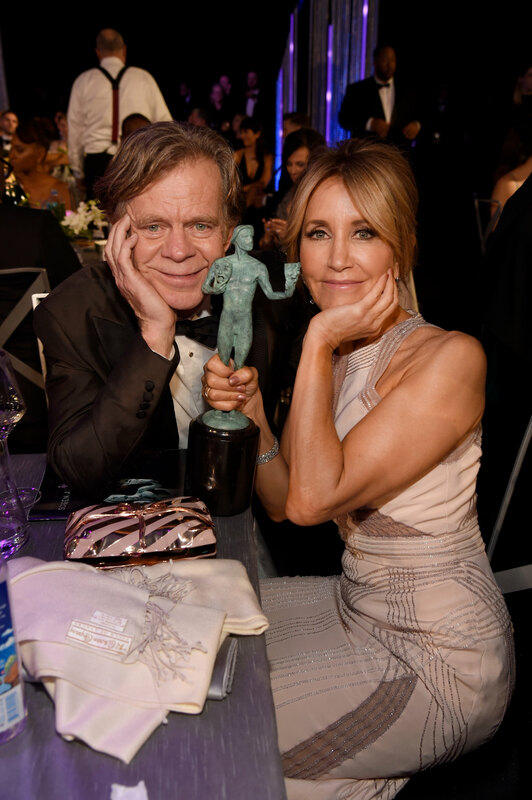 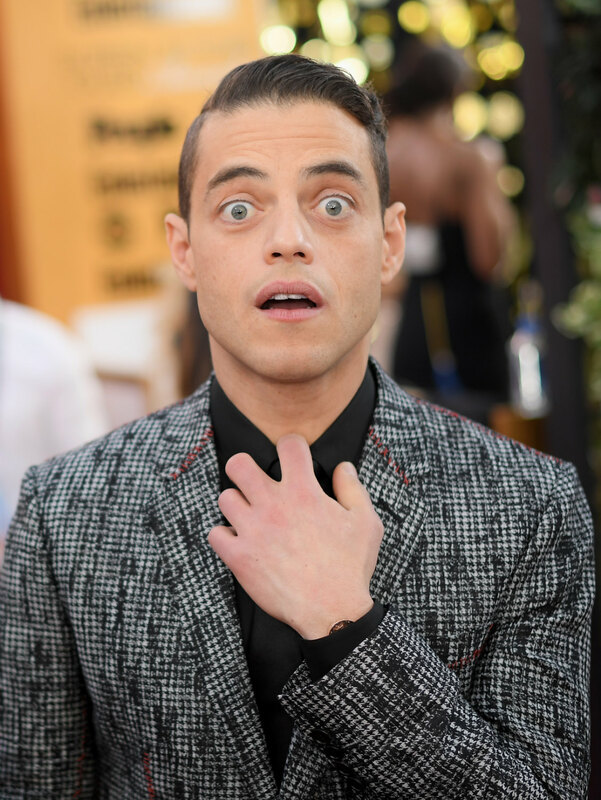 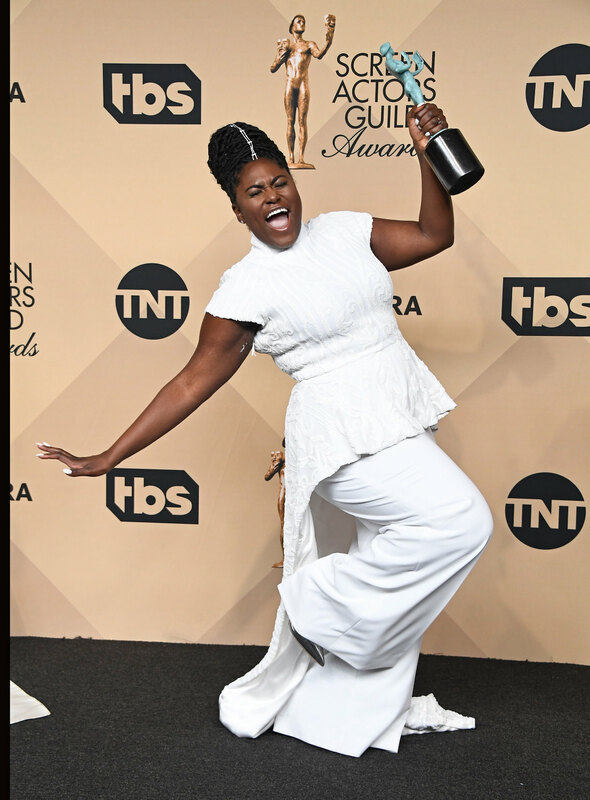 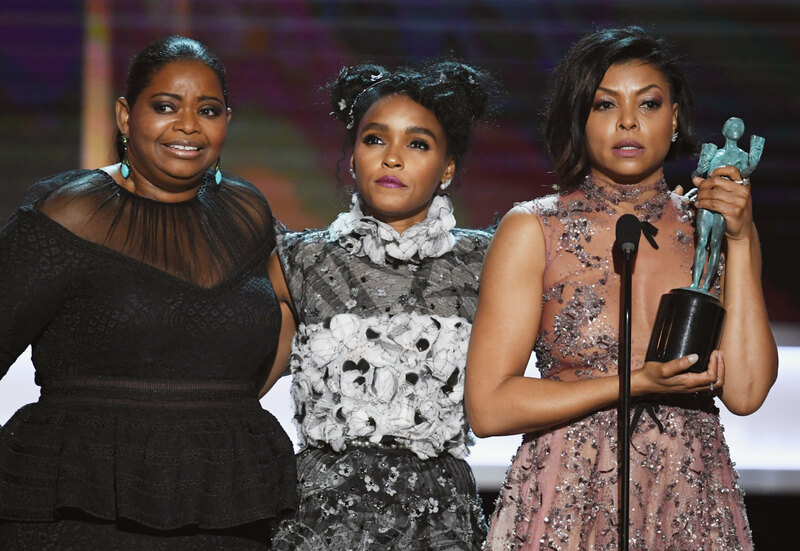 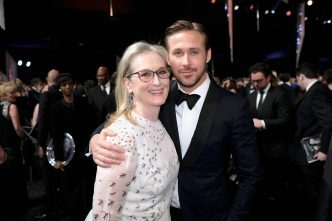 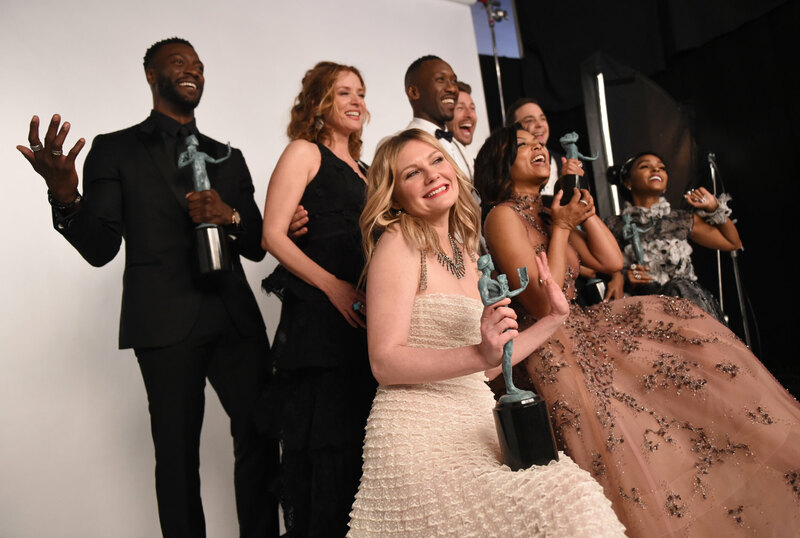 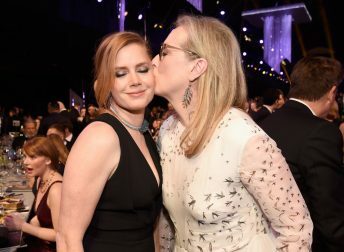 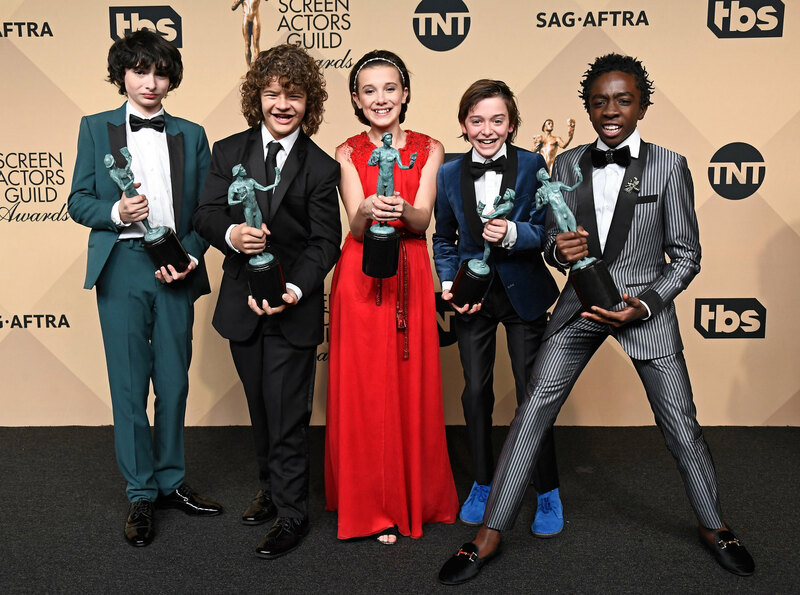 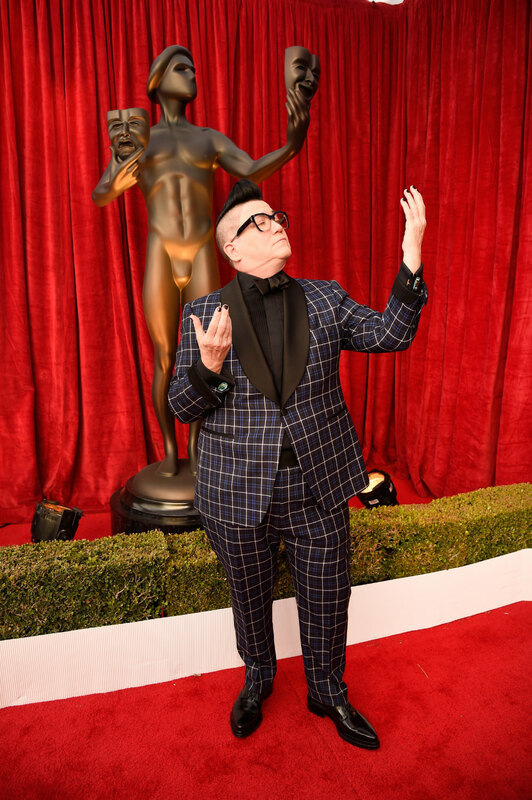 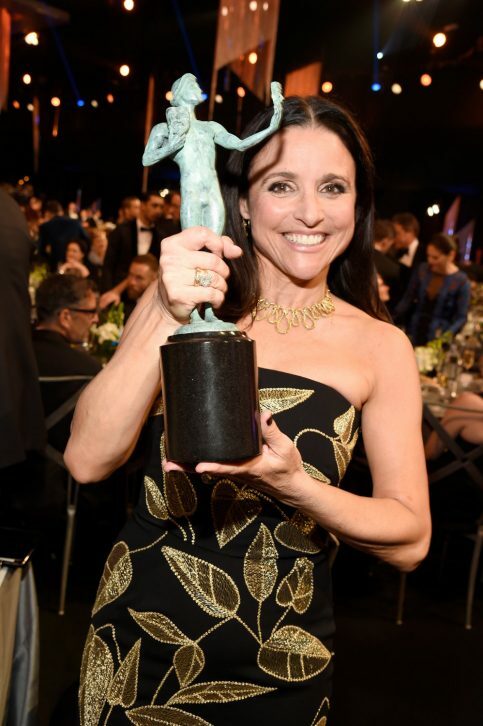 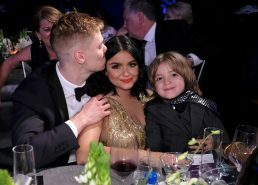 The 23rd annual Screen Actors’ Guild Awards, held at the Los Angeles Shrine Exposition Center on Sunday, honoured outstanding performances from 2016 in film and television. 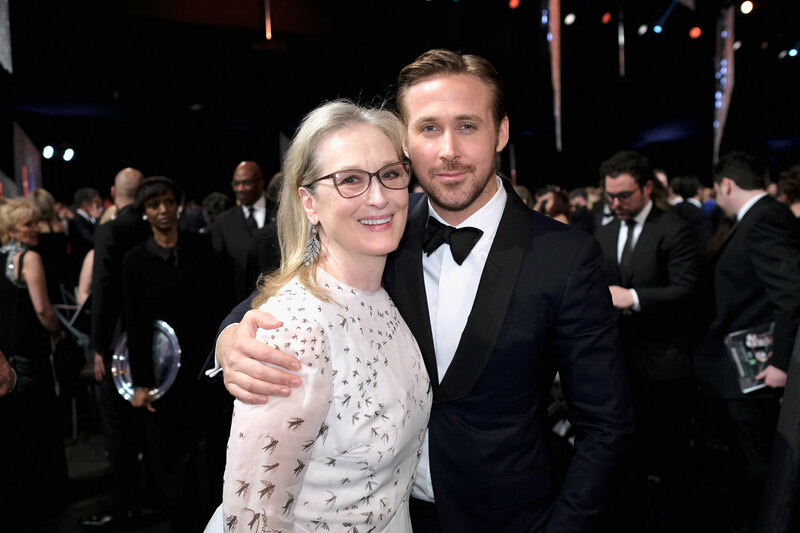 From the moment the ceremony began, the stars wasted no time diving right into politics. 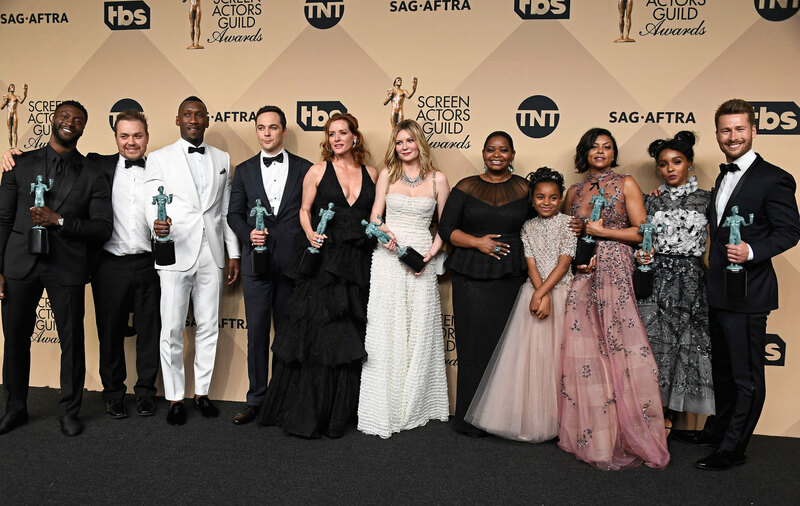 Hollywood’s most popular actors didn’t hold back: faces like Emma Stone, Kerry Washington, Julia Louis-Dreyfus, Bryan Cranston, Ashton Kutcher and Simon Helberg expressed their opposition to US president Donald Trump and his newly imposed immigration ban. 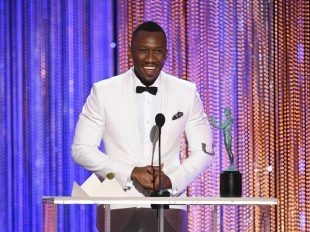 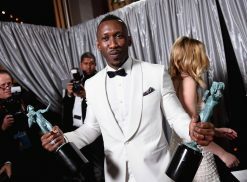 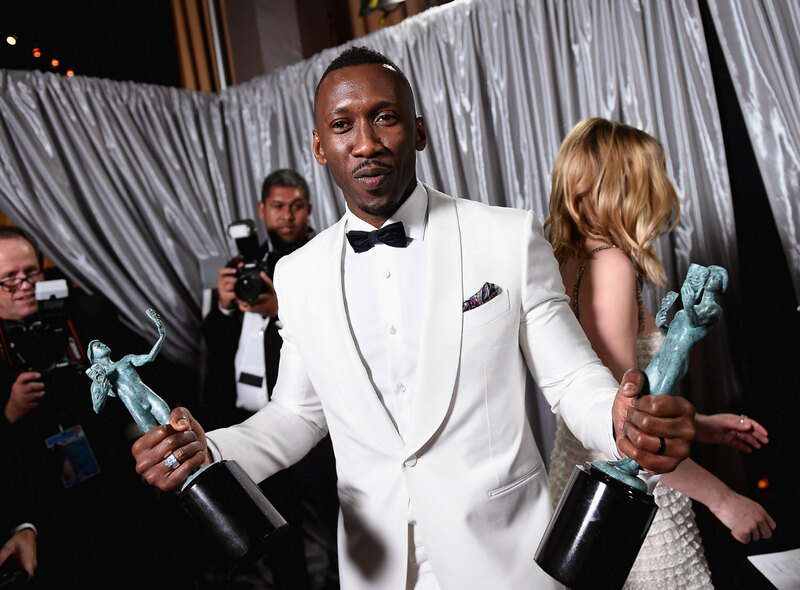 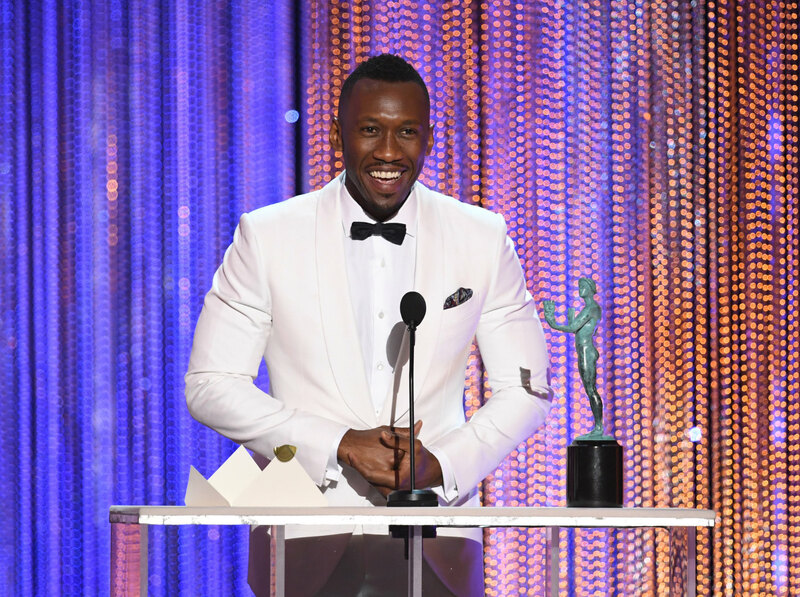 Helberg and his wife Jocelyn Towne carried a sign ‘Refugees welcome’ and had ‘Let them in’ emblazoned across the chest respectively, Veep’s Julia Louis-Dreyfus called the Muslim ban ‘un-American’, Moonlight’s Mahershala Ali spoke out against the persecution of minorities, and Orange is the New Black’s Taylor Schilling called attention to the importance of diversity. 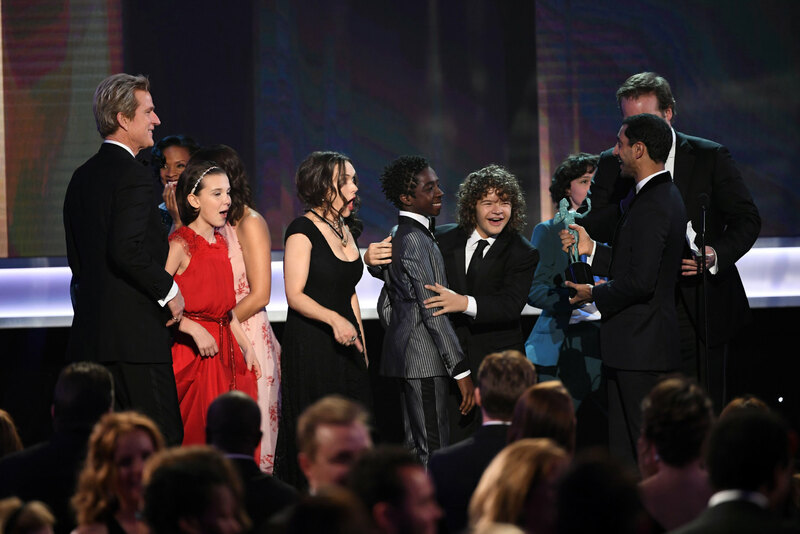 But the most rousing speech came from Stranger Things’ David Harbour. 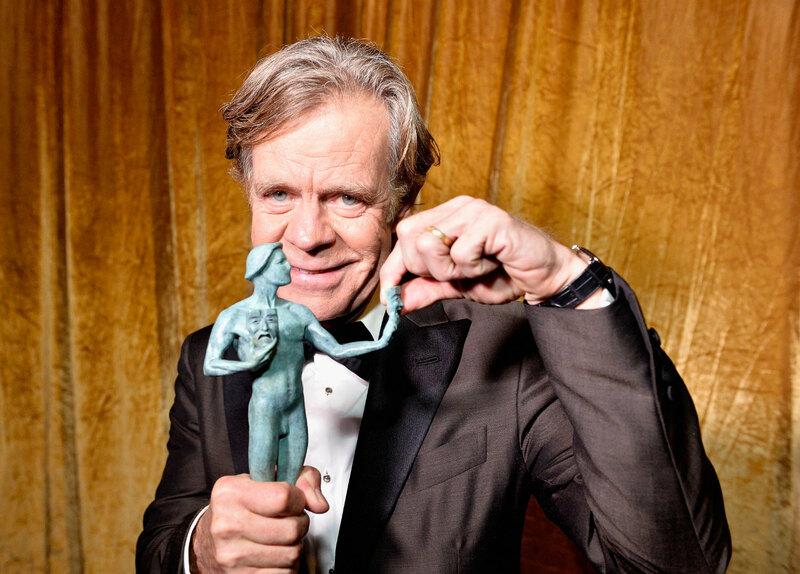 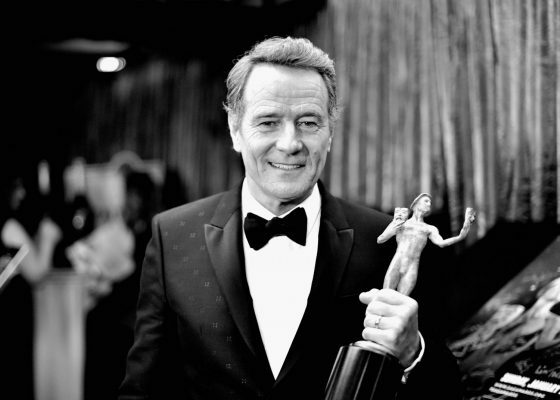 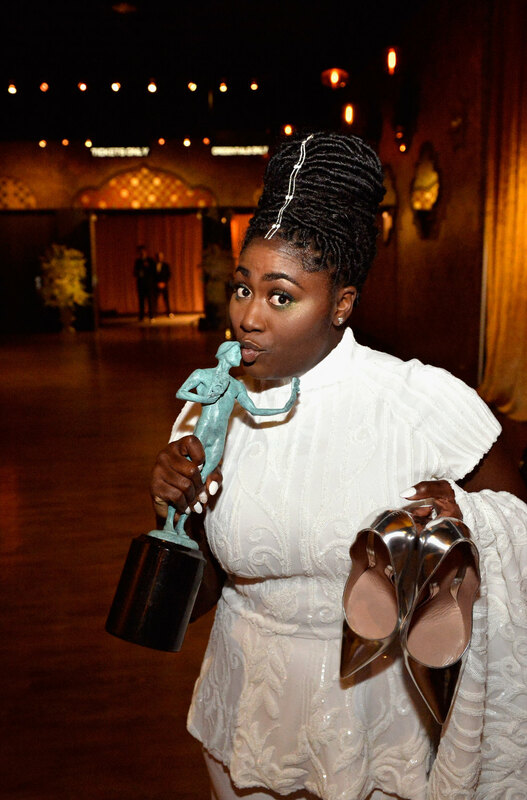 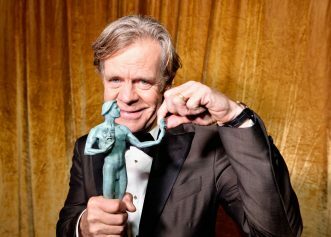 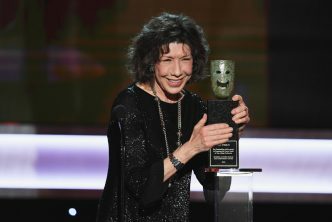 ‘I would just like to say, in light of all that’s going on in the world today, it’s difficult to celebrate the already celebrated Stranger Things, but this award from you who take your craft seriously and earnestly believe, like me, that great acting can change the world is a call to arms from our fellow craftsmen and women to go deeper. 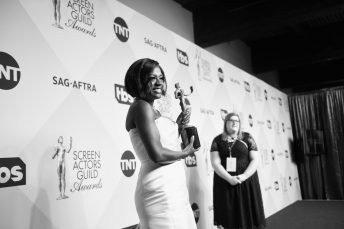 And through our art to battle against fear, self-centredness and exclusivity of our predominately narcissistic culture and through our craft to cultivate a more empathetic and understanding society by revealing intimate truths that serve as a forceful reminder to folks that when they feel broken and afraid and tired, they are not alone. We are united in that we are all human beings and we are all together on this horrible, painful, joyous, exciting and mysterious ride that is being alive. 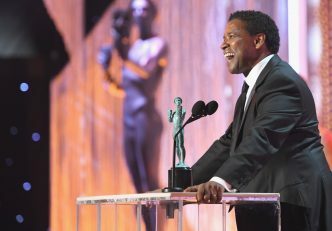 Denzel Washington, who had hitherto been nominated the most times but failed to win, broke the drought by scoring a SAG award for his performance in Fences. 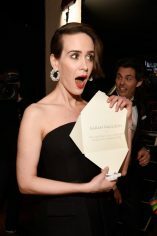 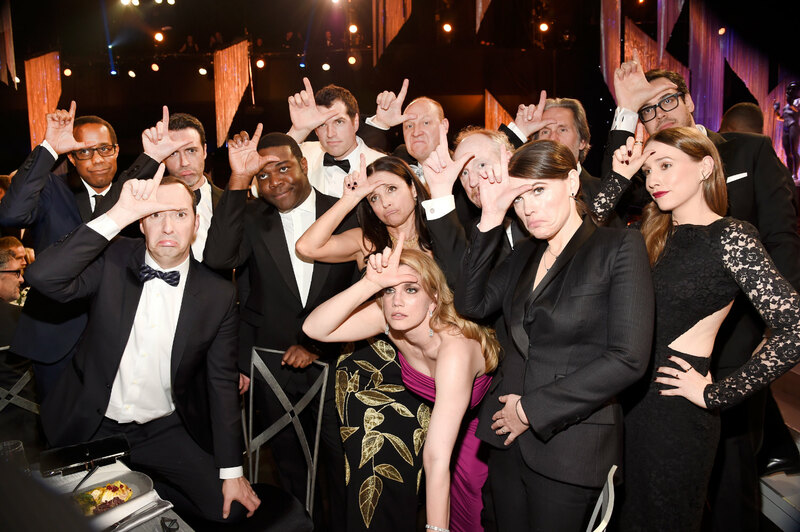 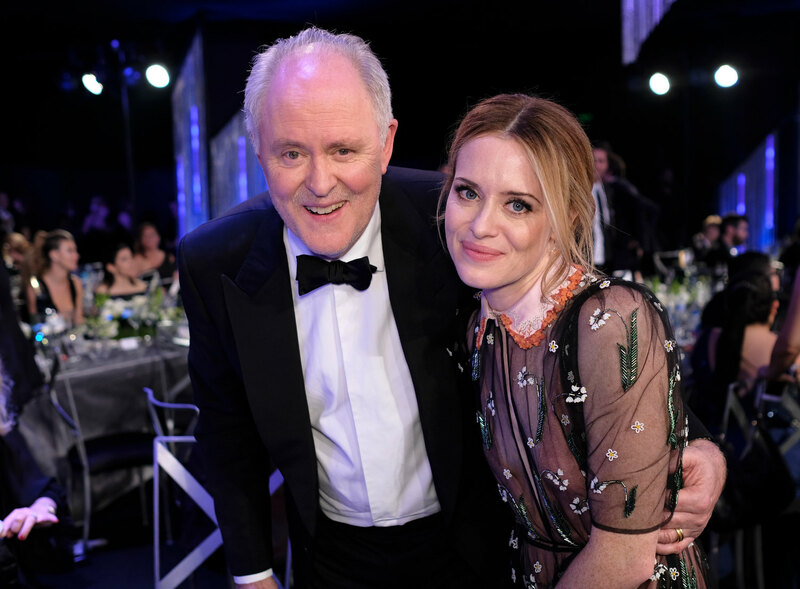 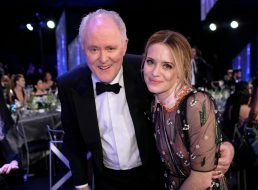 Netflix’s most expensive drama, The Crown, was rewarded with two wins, for lead actress Claire Foy, and supporting actor John Lithgow, whose incredible portrayal of Winston Churchill was recognized by the Guild, though it was the network’s Stranger Things that scooped the prize for best drama series. 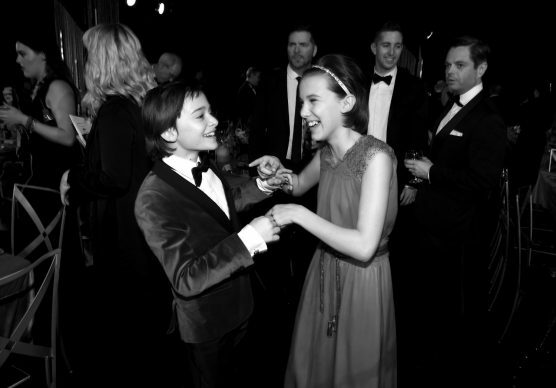 Matt Smith, who co-starred with Foy, joined her on the red carpet. 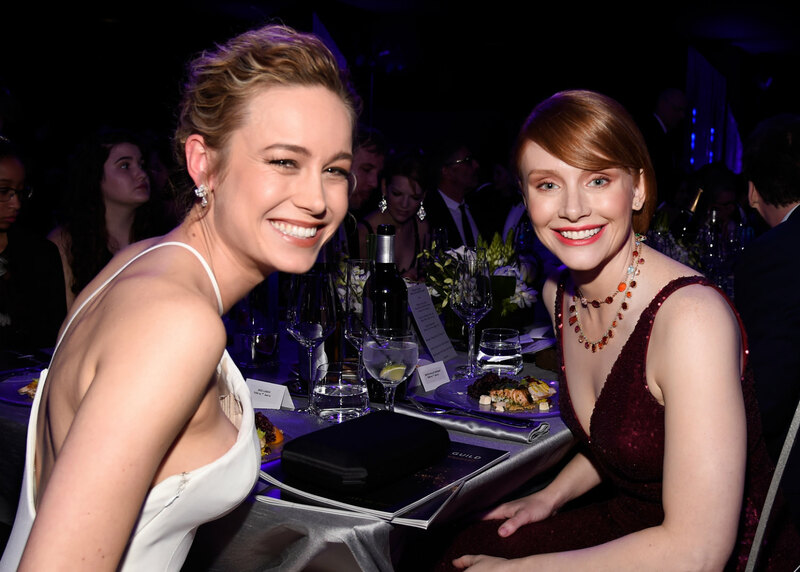 Foy wore a brooding, floral Valentino gown, while Emma Stone stunned in Alexander McQueen. 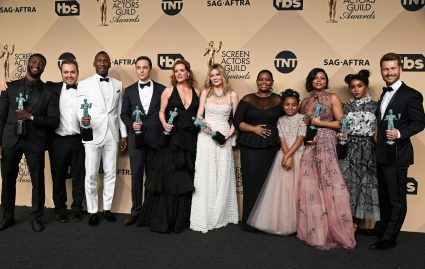 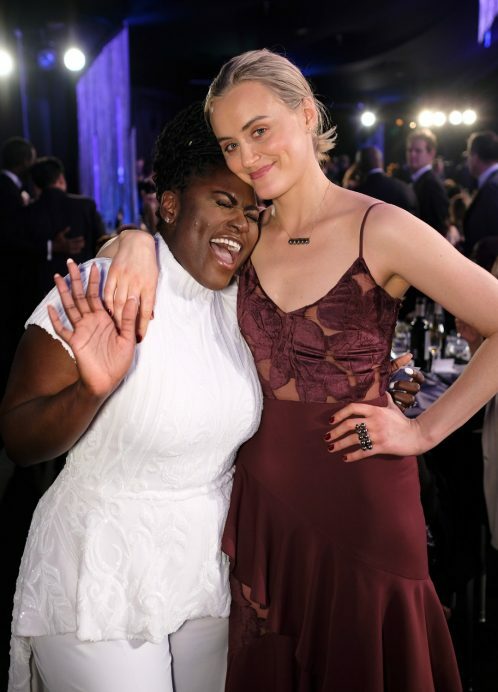 We also spotted Viola Davis in Vivienne Westwood, Natalie Portman in Christian Dior, Meryl Streep in Valentino, Naomie Harris in Lanvin, Thandie Newton in Schiaparelli, Michelle Williams in Louis Vuitton, Danielle Brooks in Christian Siriano, Michelle Dockery in Elie Saab, Kate Hudson in Christian Dior, Salma Hayek and Nicole Kidman both in Gucci, and Emily Blunt in Roberto Cavalli. 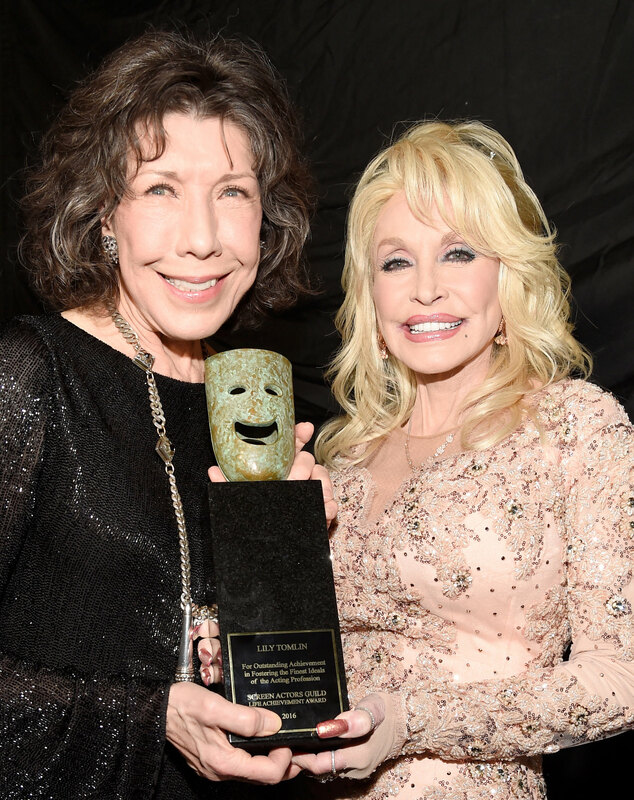 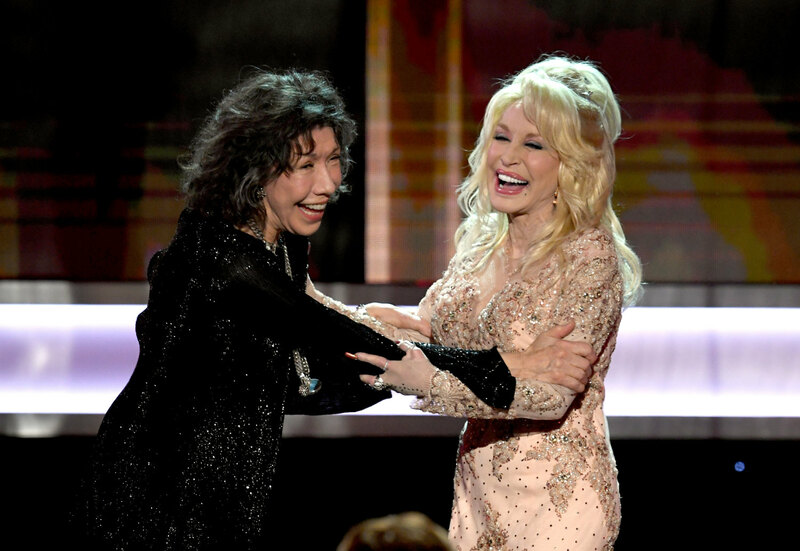 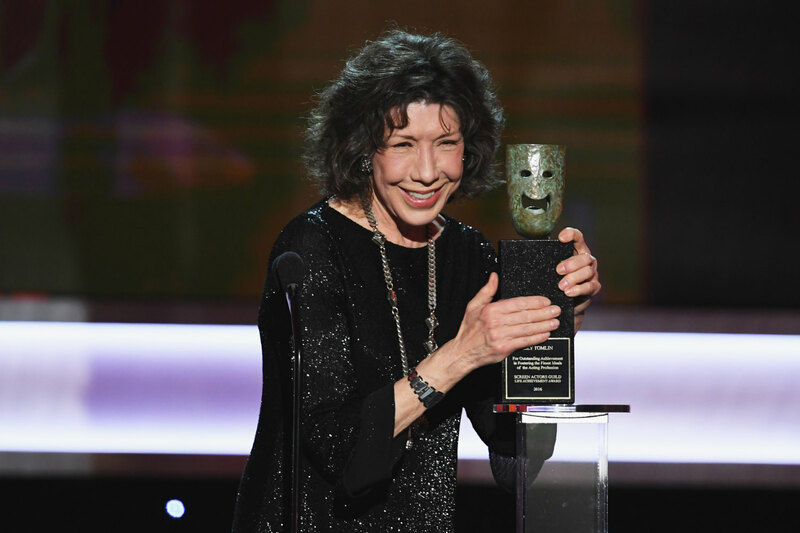 Lily Tomlin was awarded the SAG Lifetime Achievement Award.